Overwhelmed by the Many Choices for Ceiling Fans? 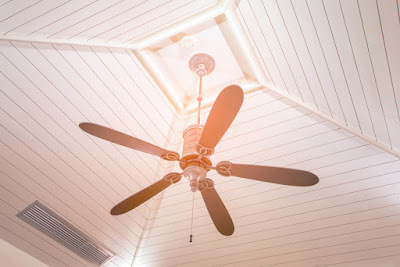 Do you know how to choose the right ceiling fan for your space? Are you overwhelmed by the many options available? Do you feel as though you don’t know the difference between the many different types of ceiling fans on the market? For instance… did you know that airflow and blade shape matter? Pay attention to the cubic feet per minute (CFM) numbers on the boxes when you’re buying a ceiling fan. A higher number means more air movement. Fans with the most airflow predictably make more noise, but Consumer Reports’ tests showed most noise was wind noise, not motor noise. Smooth fan blades are likely your best choice if you’re looking for a quiet fan. Make RP Lighting + Fans Your Preferred LED Ceiling Fan Supplier! We have residential grade fans and fans powerful enough to handle large commercial and industrial spaces. To see our product line and learn more about what we have to offer, check out our website! We have a new product catalog for 2019 that details all of our product offerings. Are You Getting the Best LED Lighting Product Available? In the era of incandescent/fluorescent lights, “quality” was not necessarily the operative word when it came to assessing lighting products and suppliers. Consumers and manufacturers were more concerned with how long it would take until the lamp burned out. It was simple – better products had longer life, while cheaper ones needed to be replaced more often. However, in today’s era of LED and solid state lighting, the quality of the design and build is once again becoming an essential part of the LED luminaire selection equation. How do you know you’re getting the best product available? Visit our website to learn more.